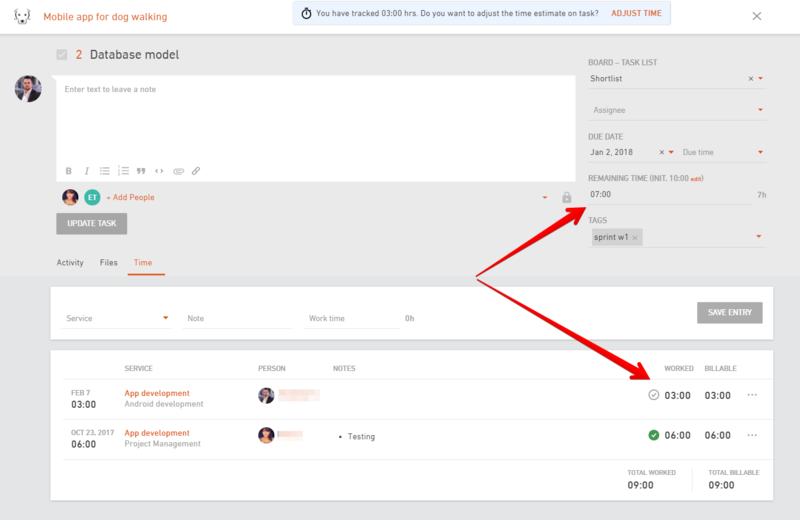 Time can be tracked on tasks and you can also put time estimates on tasks. Time estimates can be adjusted at any time. For those of you who use Scrum methodology on your projects it’s essential to estimate the amount of work for every open task. The goal of the Scrum is to track progress on your projects daily, have better metrics and this cannot be done without daily planning and re-evaluting the work that still needs to be completed. 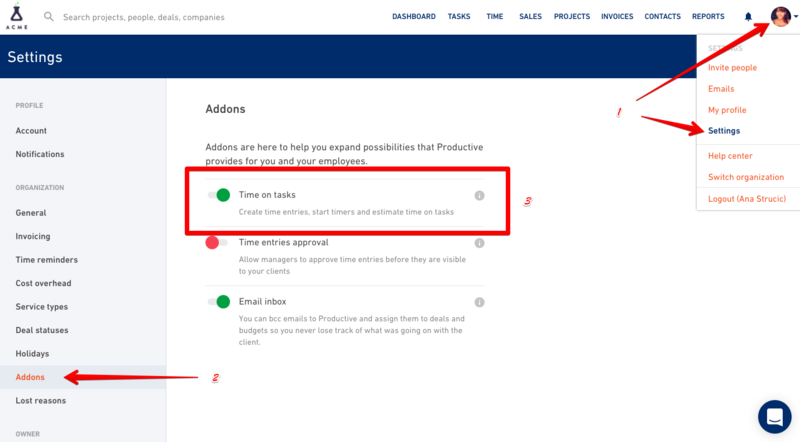 If you would like to use time estimates feature on your tasks, go to the Settings of your organization, find Addons on the list and turn on Time on tasks feature. 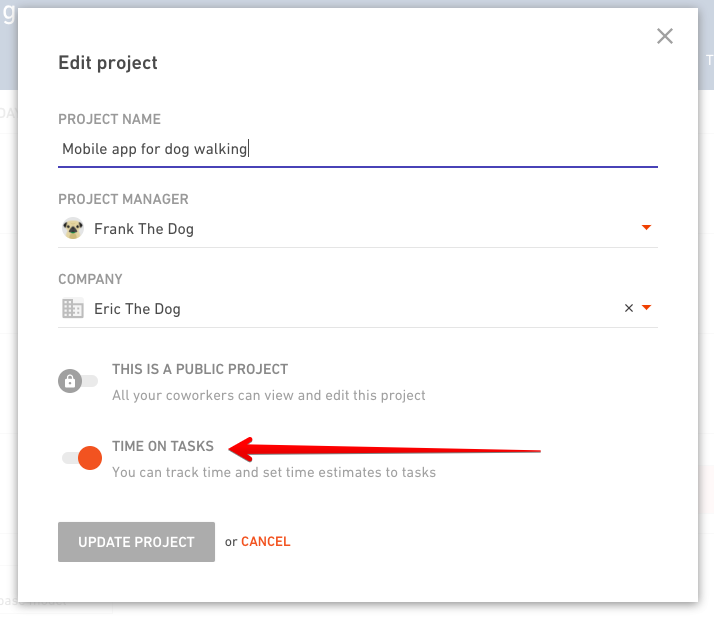 This enables time tracking and adding estimates for every project you have in Productive. You might have some projects that you don’t need this for. In that case you can go to Edit project and turn off time on tasks for the particular project only. Why would I need a time estimate on each task? When you put down a time estimate for every task, you will always know how much time you still need to spend on the project until its completion. If you take a look at the list of tasks in your projects, you’ll see how many hours of work are left either for a particular task or for the whole task list. How will the estimated time change on my tasks? 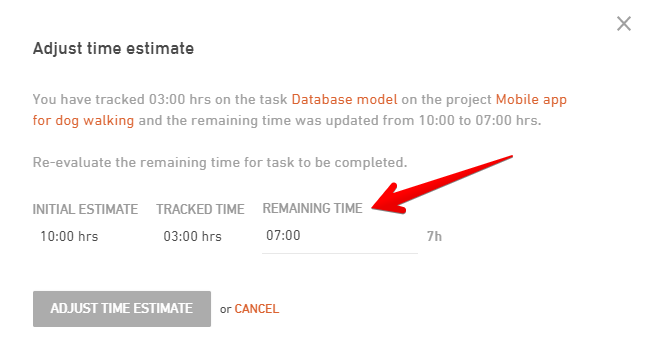 Every time you track time on a task with estimated time in it, the remaining hours will automatically be adjusted. Let’s say you initially estimate you’ll need 10h to finish a particular task. You’ve been working on this task for 3h and you track your time on it. The time estimate will automatically adjust to 7 hours as your initial estimate was 10h and you spent 3h working on that particular task. 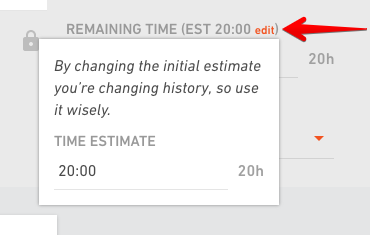 If this information is inaccurate and you want to adjust the actual remaining hours, you can edit this afterwards by clicking on the ADJUST button when this tool-tip appears. Can I edit my initial estimation? You can. But do it only if you made a typo, otherwise it doesn’t serve its purpose. The idea is to compare your initial estimations with re-estimations you did over time. If you interfere with your initial estimation, you won’t have accurate data to learn from.